← What does this look like? How…I mean…how did this…what the Hell just happened here?! How do you even GET a car in that position? 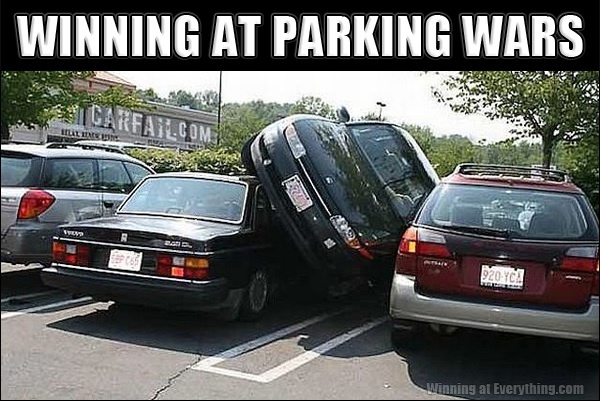 If you thought parallel parking was difficult, try perpendicular parking.